Ah! The heat is terrible!!! That plus the humidity just saps all the strength you have and before you know it has knocked you out completely. To say that I hate this heat with a passion is an understatement. All those in agreement please raise your hands 😀 Not only does the heat renders one incapable of functioning like a normal human being but the problems that it brings in on top it is enough to drive one insane. Whereas in the winters my skin was like a greedy dessert drinking up whatever moisture it could find now it is turned into a literal oil well which can fulfill the demand of certain small sized countries! 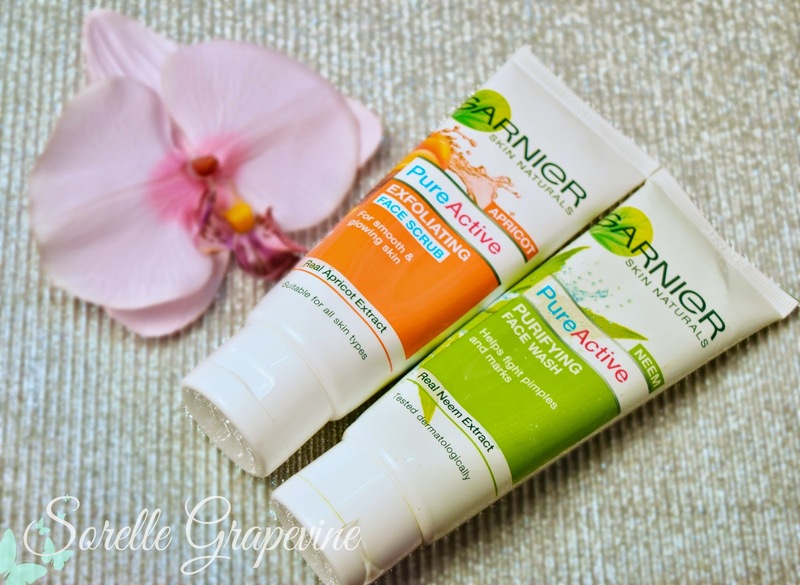 I kid you not 😛 Oiliness, rash, pimples….you name it….ugh! How is one to survive such odds? Well all I can say is thank god for small mercies! Sometimes the timing of certain things entering your life is impeccable and you can just look at the sky with grateful eyes thanking your stars. Ok I think I amped up the drama a bit much and now I need to take it down a notch. 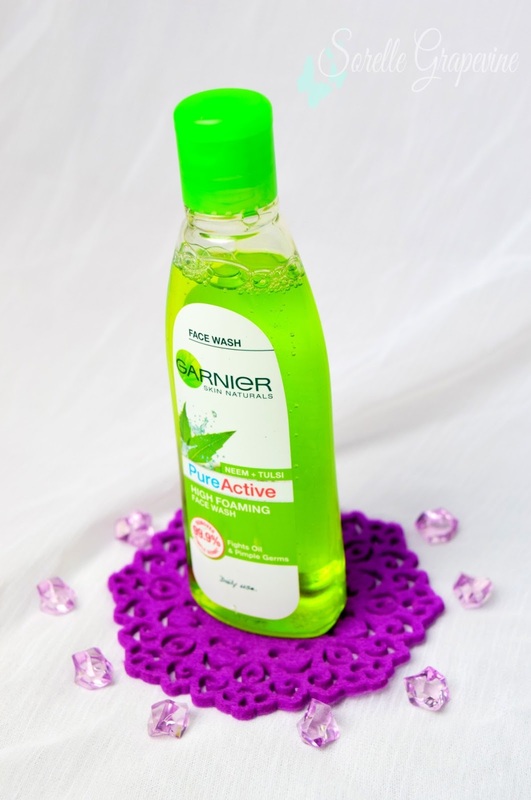 This product has not launched in the market yet so you are getting an exclusive preview of it before it hits the shelves. I had reviewed a variant of it in my Twice As Nice post. There are certain differences in the two so lets sum it up. 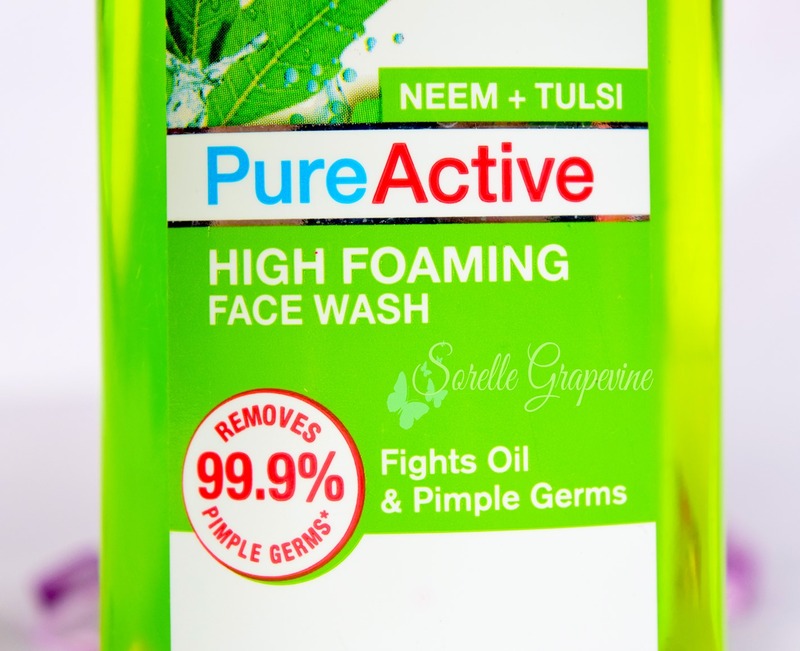 Firstly, an additional active ingredient ie Tulsi (Holy Basil) has been added to the mix. 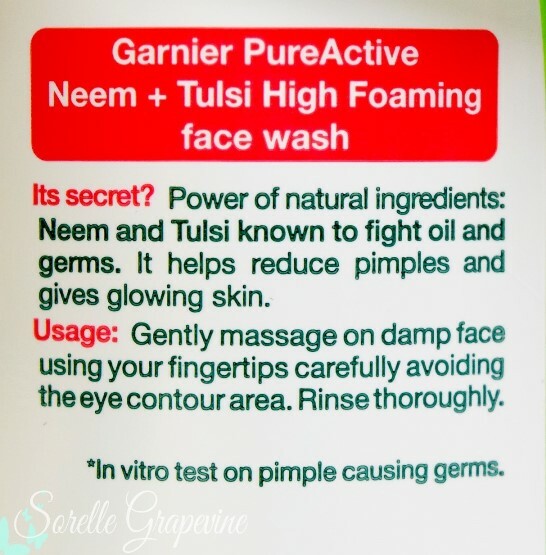 Secondly, this is a high foaming version and Thirdly, the earlier variant tackled pimples and their marks whereas this fights the oiliness and pimple causing germs. From what I understand that the previous variant was more of a cure and this is sort of prevention + cure as it handles the source of the problem. And you know what they say about prevention being better than a cure 😀 But that is just my logical assumption of it. This is priced at Rs. 105/- for 100 gms of product as opposed to the Rs. 90/- of the other variant. This is a light green colored liquid that has an almost gel like texture to it. Slightly runny. Has a nice fresh smell to it which I really love. This is high foaming where you get a thick foam covering your face as opposed to something which bubbles/lathers a lot. 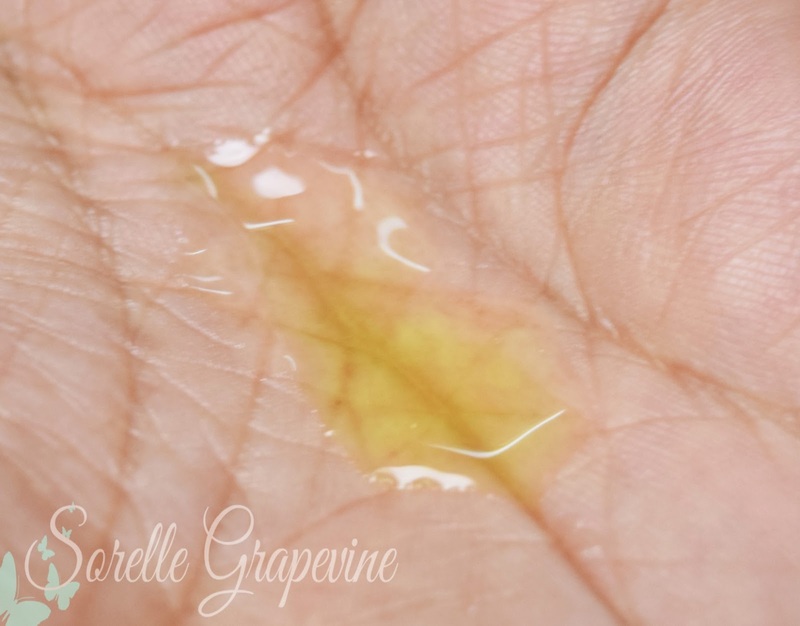 It does take care of my oil problem however my skin does not feel dried out. I’m still trying to balance on the fine line between oiliness and dry skin and I’m glad that it does not escalate one issue while handling the other. 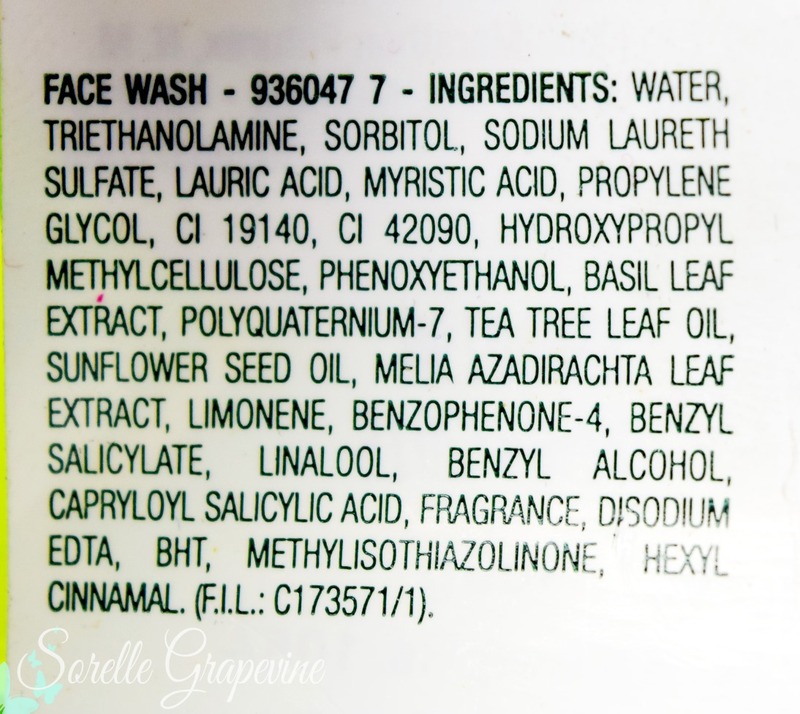 My skin has calmed down since I started to use this and the small pimples that were forming cleared out after 2-3 washes. I haven’t seen any new ones developing and that is a relief! Well it has not done anything for my heat rash issue (not that it claims to). Dolon and me. Together we are Twice as Nice! 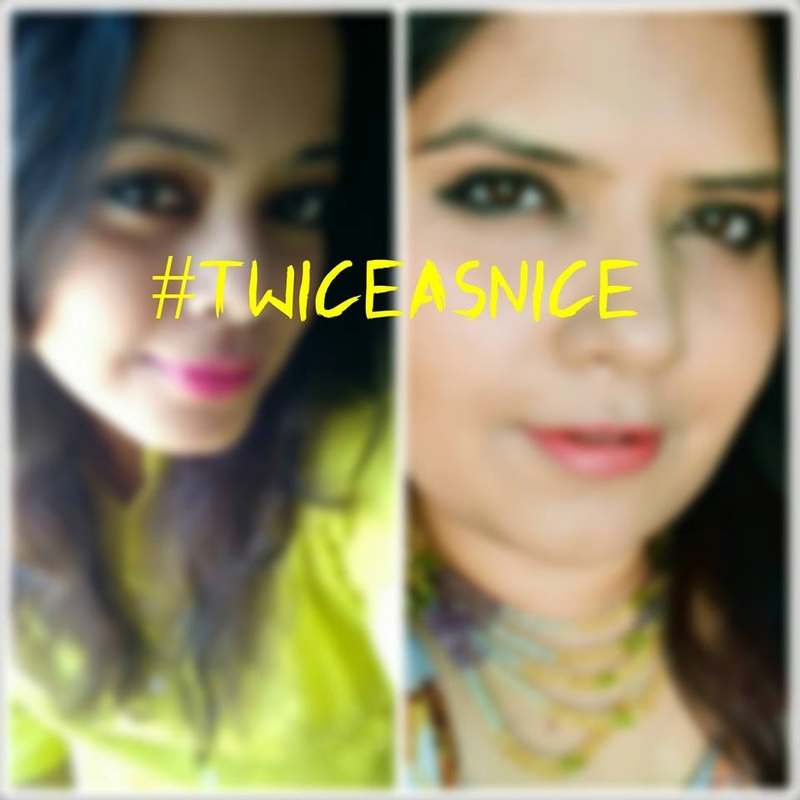 When Dolon of Pout Pretty told me about the Twice As Nice campaign and if I wanted to do it with her, I was so stoked! Since the three of us have gotten together (3rd musketeer being Poorna of Presented by P) we have been thinking of doing a project together. But it never pans out 🙁 Well we are such good friends and share so many characteristics and interests between the three of us so it isn’t strange that we are partners in crime when it comes to laziness as well 😀 But jokes apart I was so glad to be doing this collab with D and hopefully we will break our jinx and bring more such posts for you guys in the future. I have been a very neutral palette kind of person opting for the softer and pastel colors. 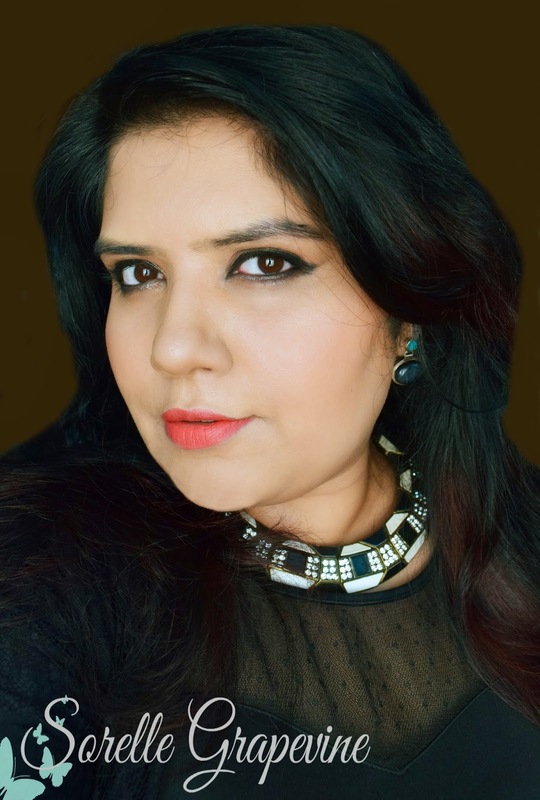 Though I mix things up for the blog but on a day to day basis I stick to my kajal and coral lippy preferably something with shimmer or gloss. I wouldn’t touch matte lippies with a 10 foot pole! Dolon on the other hand is always dressed like a Diva….bright bold lips and deep dark smokey eyes with her lush hair framing her face. We decided to switch personalities for this campaign! 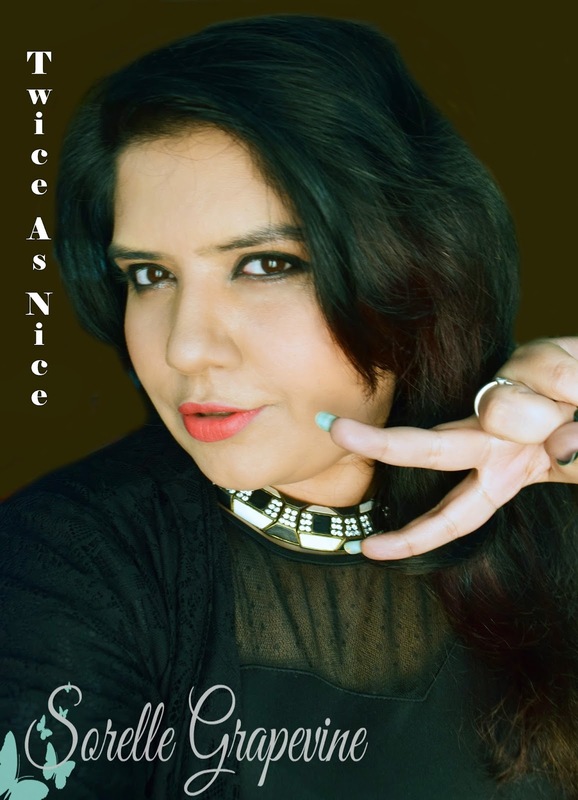 Dolon has done a bright and fresh day look on her blog (she looks adorbs! Check it out here) while I did a dark glam night look. We decided to use the same shade of lipstick and liner to create our looks to help tie them up. Well those were our looks. Do let us know what you guys thought about them and if you would like to see us collab in the future. 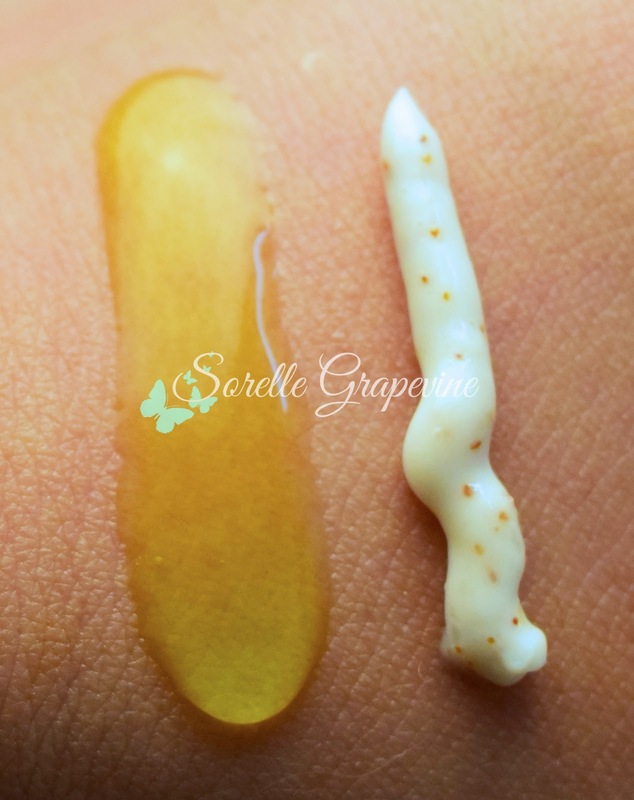 Also have you checked out the face wash and scrub yet? I would like to hear what you think about them. Till I see ya next….take care!